CP Plus CP-UVR-0401E1-V4 4CH 1080P Lite Cosmic HD DVR (Without Hard Disk) 1Pcs. This DVR supports all popular HD formats with Uni+ technology and supports IP, CVBS and all other analog HD formats. DVR has 4CH Video & 1CH Audio Input. 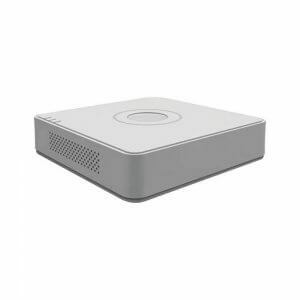 DVR Description: H.264 dual-stream video compression, All channel 1080P Lite Real Time Recording, Auto Adaptive HDCVI/AHD/TVI/CVBS/IP signals, HDMI / VGA simultaneous video output, Support up to 2MP IP Camera, Support 1 SATA Port up to 8TB HDD, 2 USB Ports (2.0). Mobile Software: iCMOB, gCMOB. CMS Software: KVMS, KVMS Pro. Recording Mode: Manual, Schedule (Regular, Continuous), MD (Video detection: Motion Detection, Video Loss, Tampering), Alarm, Stop. Playback: Play, Pause, Stop, Rewind, Fast play, Slow play, Next file, Previous file,Next camera, Previous camera, Full screen, Repeat, Shuffle, Backup, selection, Digital zoom. Backup Mode: USB Device/ Network, SATA. Protocols: HTTP, TCP/IP, IPv4/IPv6, UPnP, RTSP, UDP, SMTP, NTP, DHCP, DNS, IP Filter, PPPoE,DDNS, FTP, Alarm Server,P2P, IP Search, ONVIF 2.4.1. Video Recording: Main Stream – 1080N(12fps)/720P(15fps)/960H/D1/HD1/BCIF/CIF/QCIF (1~25/30fps), Sub stream: CIF/QCIF(1~7fps). Video Resolution: 1920×1080, 1280×1024, 1280×720, 1024×768. Power Supply: 12V/2A, Power Consumption: <10W (Without HDD). 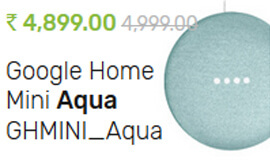 High Quality Branded Product, Hard Disk & Installation is not included. CP Plus CP-UVR-0401E1-V4 4CH 1080P Lite Cosmic HD DVR (Without Hard Disk) 1Pcs. This DVR supports all popular HD formats with Uni+ technology and supports IP, CVBS and all other analog HD formats. 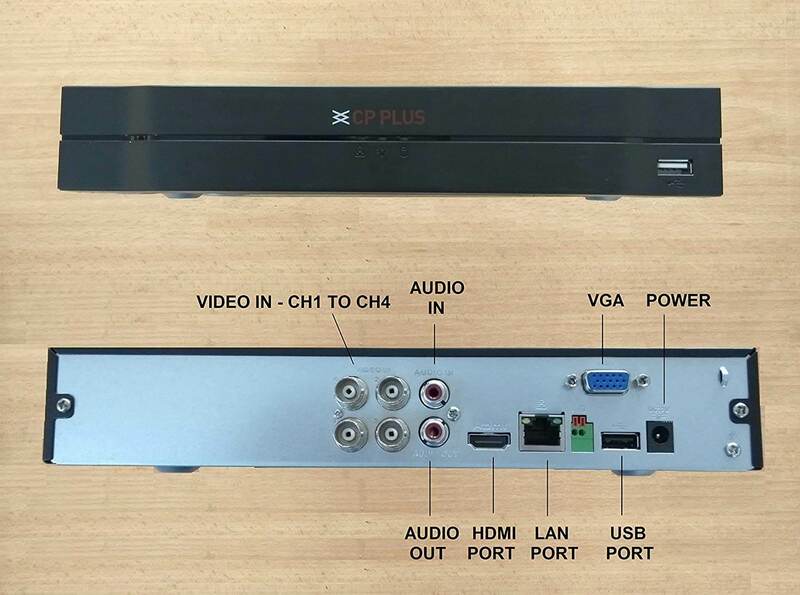 DVR has 4CH Video & 1CH Audio Input. 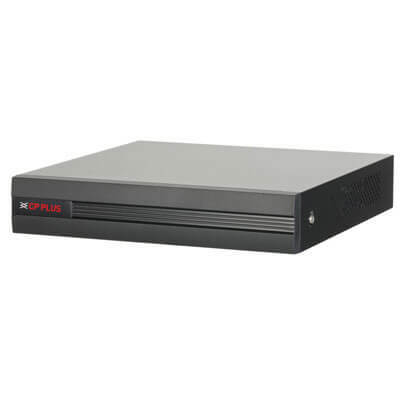 DVR Description: H.264 dual-stream video compression, All channel 1080P Lite Real Time Recording, Auto Adaptive HDCVI/AHD/TVI/CVBS/IP signals, HDMI / VGA simultaneous video output, Support up to 2MP IP Camera, Support 1 SATA Port up to 8TB HDD, 2 USB Ports (2.0). Mobile Software: iCMOB, gCMOB. CMS Software: KVMS, KVMS Pro. Recording Mode: Manual, Schedule (Regular, Continuous), MD (Video detection: Motion Detection, Video Loss, Tampering), Alarm, Stop. Playback: Play, Pause, Stop, Rewind, Fast play, Slow play, Next file, Previous file,Next camera, Previous camera, Full screen, Repeat, Shuffle, Backup, selection, Digital zoom. Backup Mode: USB Device/ Network, SATA. Protocols: HTTP, TCP/IP, IPv4/IPv6, UPnP, RTSP, UDP, SMTP, NTP, DHCP, DNS, IP Filter, PPPoE,DDNS, FTP, Alarm Server,P2P, IP Search, ONVIF 2.4.1, CGI Conformant. Processor – Embedded Processor. 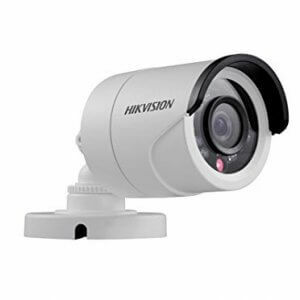 Video Recording: Main Stream – 1080N(12fps)/720P(15fps)/960H/D1/HD1/BCIF/CIF/QCIF (1~25/30fps), Sub stream: CIF/QCIF(1~7fps). Video Resolution: 1920×1080, 1280×1024, 1280×720, 1024×768. Power Supply: 12V/2A, Power Consumption: <10W (Without HDD). 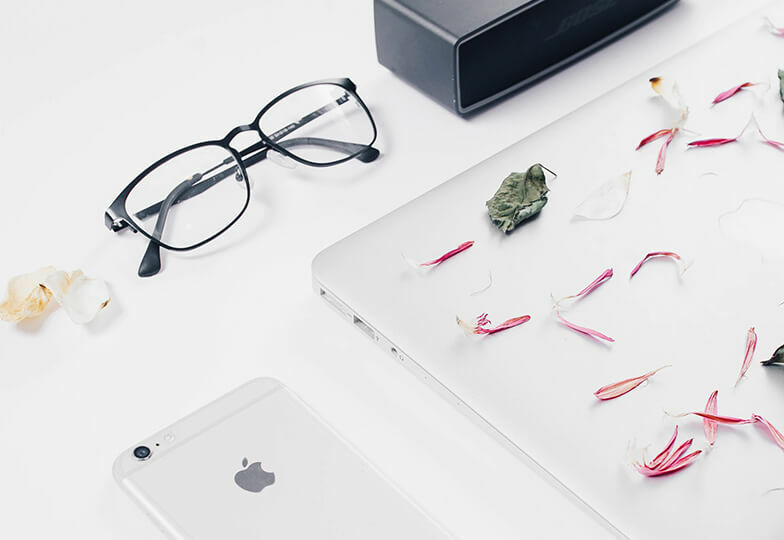 High Quality Branded Product, Hard Disk & Installation is not included. 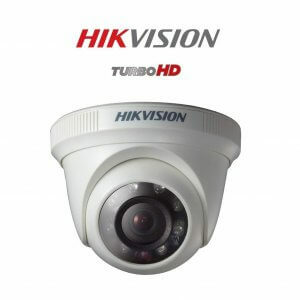 2 Year Warranty of DVR. (Adapter, Mouse, Physical Damage & Burning are not covering in Warranty). 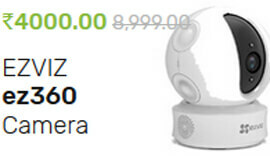 Before purchasing this product, please make sure that your cameras are supported to this DVR. 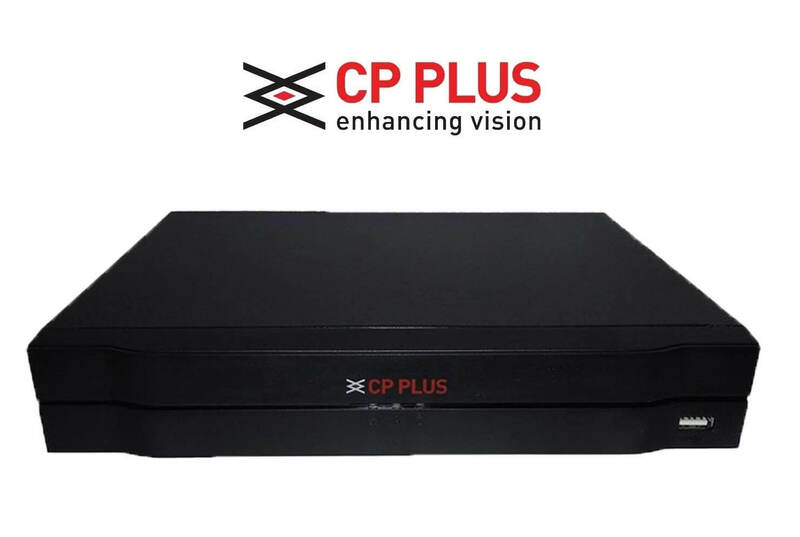 Additional Features CP Plus CP-UVR-0401E1-V4 4CH 1080P Lite Cosmic HD DVR (Without Hard Disk), 2 USB PORT, Mouse, 8TB HDD Supported (HDD is not included), Free Mobile View (Android and Windows Phone), Can Be Watched Online, High Quality Branded Product, Hard Disk & Installation is not included.